So it’s freezing here in New Hampshire today. And I was absolutely not expecting the blanket of white that greeted me when I raised the shade this morning. There wasn’t a word of it on the weather forecast yesterday and there weren’t closings or delays listed on our local news station. The truth is, I’d rather just stay home and have a snow day with the kids on wintery days like today. And today is the perfect kind of day for making this Ultimate Three Cheese Gruyere Mac and Cheese. This afternoon there are two casserole dishes of homemade mac & cheese baking in the oven…. This Ultimate Three Cheese Gruyere Mac and Cheese recipe comes from a friend who makes it often. She got the recipe from a newspaper clipping years ago. Her friends always request it and she brings it to dinner parties, pot lucks, you name it. And I know why. 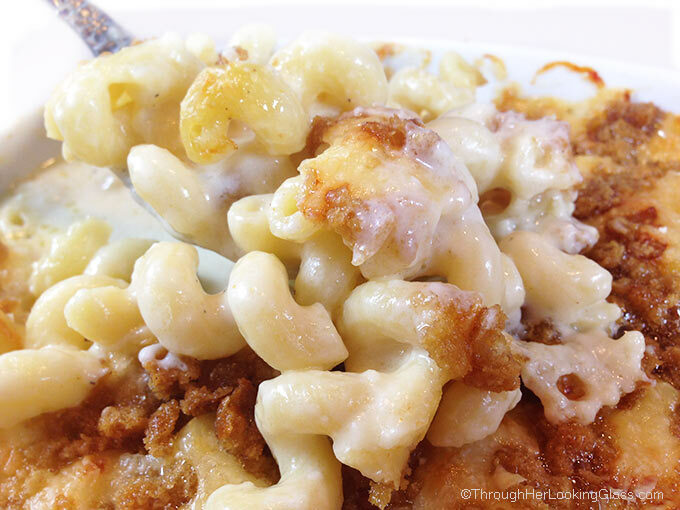 Cheddar, Gruyere and dry Jack cheeses meld together making the cheesiest, ultimate mac & cheese dish ever. I think the key ingredient is the Gruyere. So if you’re a Gruyere fan, you’ll go ga ga over this dish. This homemade mac & cheese recipe has plenty of cheesy sauce, so goodbye dry mac & cheese. And don’t forget the bread crumbs! 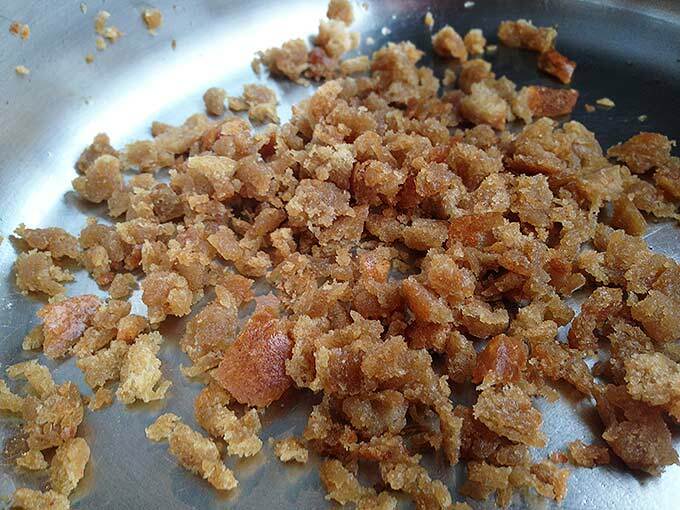 Make the crispy bread crumb topping by sauteeing fresh bread crumbs in melted butter and sprinkle on top just before baking. Ultimate topping! Ultimate Three Cheese Gruyere Mac and Cheese is comfort food and the perfect main dish that comes together easily and pleases everybody in the family. I hope you love it too. 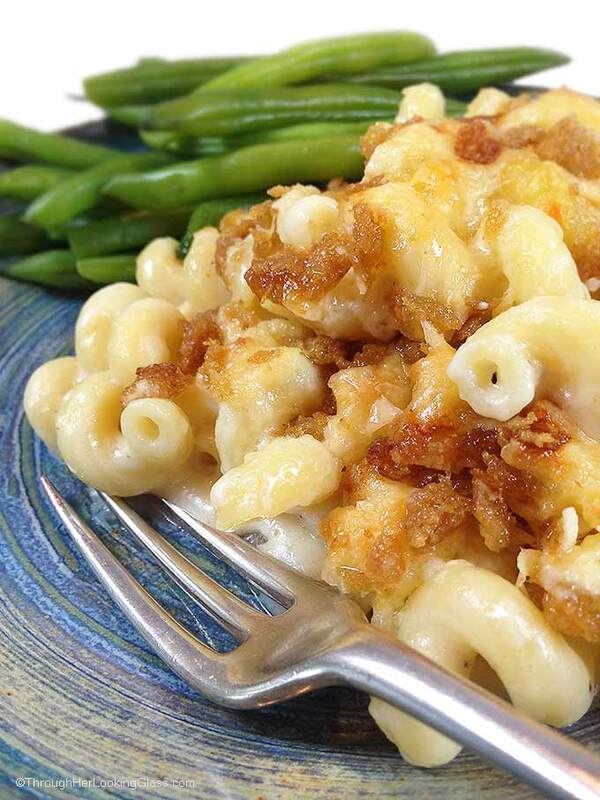 Dig in to an occasional indulgence: Ultimate Three Cheese Gruyere Mac and Cheese! For all the cheesy mac & cheese lovers. If you love Gruyere, you'll love this ultimate homemade mac & cheese! Grease a 1 1/2 quart souffle baking dish. Set aside. Drain and rinse pasta with cold water and set aside. In large saucepan, melt 1 tablespoon of the butter. Add fresh breadcrumbs and stir until thoroughly coated. Set aside. In a small sauce pan or microwave, heat milk until very hot but not scalded. Meanwhile, in the pan you used for the bread crumbs, melt remaining 3 tablespoons butter over medium heat. When butter is bubbling, add flour and stir until cooked, about 1 minute. Slowly whisk in hot milk, whisking continuously until all milk is incorporated and sauce begins to thicken, about 5 minutes. Remove pan from heat and stir in salt, black pepper, cayenne, 1 1/2 cups of cheddar, 3/4 cup of Gruyere and all the dry Jack cheese. Mix well until all the cheese has melted. Add cooled macaroni to the cheese sauce and pour mixture into the buttered casserole dish. Sprinkle with remaining cheddar and Gruyere cheeses, then top with buttered bread crumbs. Bake, uncovered, for 25-30 minutes, or until the breadcrumbs are golden brown and casserole is bubbling. Recipe easily doubles to cook in a 9 X 13" baking dish. Where's my fork!! Mac and Cheese is one of my favorite comfort foods and your photos are making me want to run to the store to buy the ingredients. Soooo delicious! You had me at sauteed bread crumbs. Mac & Cheese is just the best thing ever, and this looks amazing! Thank you. There's nothing better than homemade mac n cheese! Using three cheeses just makes it even more amazing! I love the toasted bread crumbs too....Mmmmmmm! I love Gruyere and I love crispy, buttery breadcrumbs! No wonder your boys kept asking if it was time for dinner! Perfect for winter dinners, I agree. Here in Los Angeles need summer salads, even though it's only February, as it was so hot yesterday and going to be hotter today: 88 degrees, to be exact! So much for our El Nino rainstorms! Mac and cheese...one of my favorites! Thank you for sharing, Allie! Have never made Mac & cheese - this looks soooo good! it really doesn't get any more comforting than a big dish of creamy mac and cheese! This looks so good! I know this will sound crazy, but can you give me a calorie count per serving? I am trying very hard to watch what I eat as I am a diabetic. But I may have to jump off e Sagan for this one!! You're funny Sherry. Most people reading this recipe DON'T want to know how many calories. :) I input all the ingredients into an online calorie calculator at http://www.myfitnesspal.com/recipe/calculator and it spit out 855 calories per serving if you split the entire recipe by 4. (The entire dish is 3,419 calories.) Quite the indulgence, don't think anyone could eat this every week. But I'm sure there are some ways to cut calories...like having a smaller serving or using light(er) ingredients. Six of us ate this for dinner last night, everyone had plenty but there were no leftovers. If you split it six ways it's 570 calories a serving. Hope you can try it and it's definitely worth a splurge if you can pull it off! Thanks for dropping by today. Nothing can beat mac n cheese and homemade are the best. This looks and sounds fabulous, Allie. Can't wait to try this Gruyere. Hope you are having a good time! This sounds incredible! It looks even better. You are getting so good at photographing food. I will be thinking about this dish for days now! Thanks a lot.... Lol! Cam will love this. I have got to do the right thing and make it for him, right? Can't wait! Your pictures are awesome! I wish I had a casserole ready for breakfast. After salivating over you photos, I was ready to eat! i literally just bought the ingredients and will be making it tomorrow. I will quadruple the recipe to make 2 good sized casseroles. And no I do not expect leftovers. I will serve one at a work pot luck and the other at an impromptu dinner party where the mac&cheese was requested as usual. 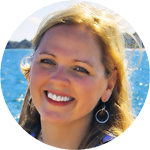 Hey thanks friend, and I know many more will now will be enjoying this amazing recipe!!!! Sounds like a delicious day ahead. There is nothing better than homemade mac and cheese! And I do love gruyere! The cheesier the better! Allie, this looks amazing! I love mac and cheese and this version is calling my name! 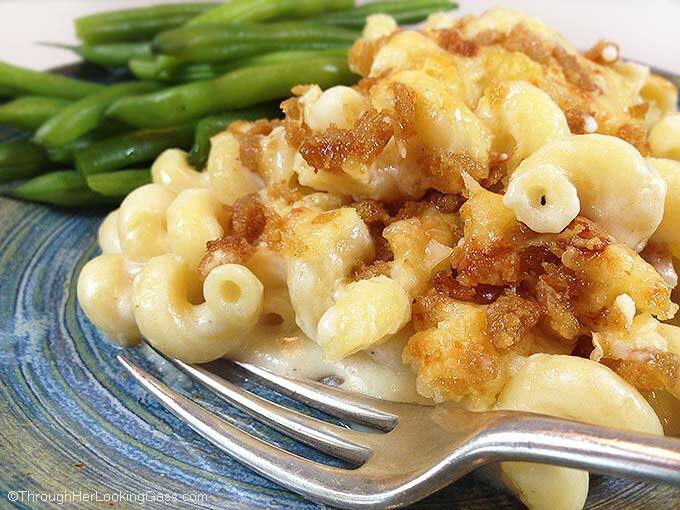 I love gruyere in mac & cheese, and your topping looks awesome! I seriously wish I could Face Plant this right now. I love Mac & Cheese. Gruyere is my favorite type to use too. Mouth-watering good! I could eat this entire casserole of mac 'n cheese. 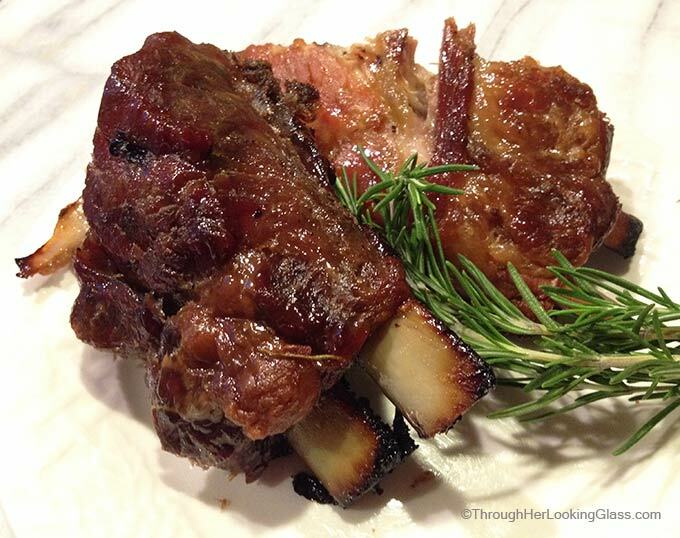 Love the combination of flavors - and crunchy top, wow! Snow is again on the horizon and this recipe may just be the way to stay sane if I have to stay inside. The best comfort food you can get! I love the breadcrumb topping! Gruyere is one of my favorite cheeses to cook with. I love the rich flavor. I have not though added it to a mac and cheese recipe. Love this! That looks so rich and creamy -- perfect snow day food! Les recettes comme celle-ci sont idéal pour combattre le froid et la pluie de l'hiver. Tellement réconfortant ! I’m happy to share that I’m making this for our family potluck thanksgiving as I am a vegetarian and cheese lover! I’m going to double it in size. Question: with the cheese quantity, 2 1/2 cups of shredded cheddar cheese measures quite differently than 20 ounces of cheddar cheese, density of course. Should I use 20 ounces by weight or 2 1/2 cups by a measuring cup? By weight the amount of cheese is almost twice as much. Thanks! Hi Yazmin - I measure it by cups! So for a double recipe, you would use 5 cups grated, sharp white cheddar cheese. Have a wonderful Thanksgiving, I hope everyone loves this dish and that you make wonderful memories together with your family!!! Enjoy. I haven't done it, but I don't see why not. I'd probably put it all together just not bake it in the oven. Then thaw and bake according to the recipe. Merry Christmas Stacey, hope you enjoy this! This recipe freezes very well. I do it all the time. It takes at least a day to thaw in the fridge.. it should be thoroughly thawed before baking. Macaroni and cheese are so great, any version of them. You make me want to cook them for dinner! Dang that no carb diet.